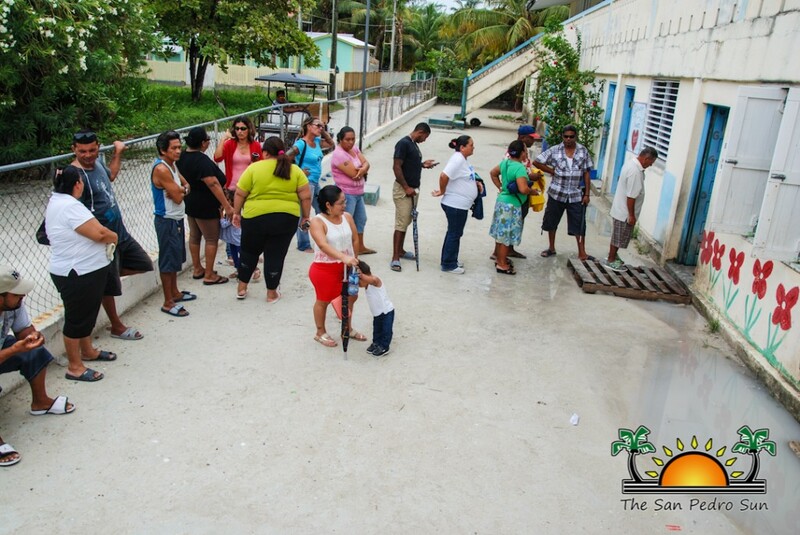 Caye Caulker Village has a new Chairperson, and she is Enelda Rosado. Rosado takes over from Wayne Miller after being elected on Sunday June 19th during Village Council Elections. 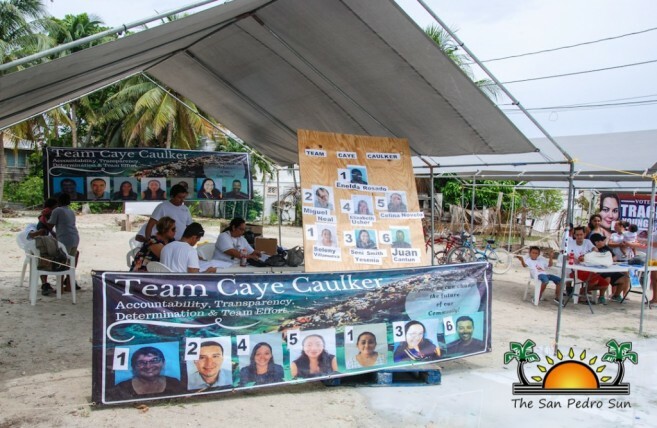 Her slate, “Team Caye Caulker,” took most of the seats in the race to govern the village for the upcoming three years. With this victory, Rosado becomes the second woman to run the village since Ilna Auxillou was elected over 15 years ago. Rosado will head the local government of the island, along with six councillors, once they are sworn in by a Justice of the Peace. Despite some rain, all three candidates, who ran independently, were busy bringing in their supporters and directing them to the polls. 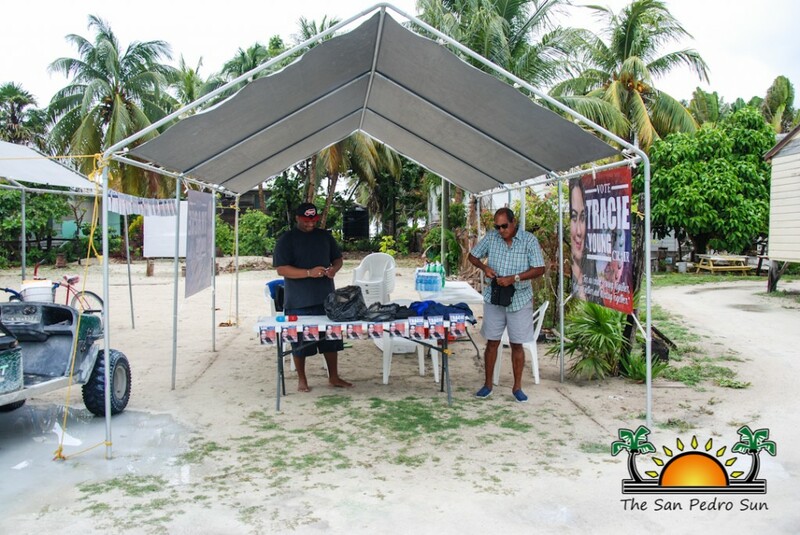 Nominations started at 9AM and polls were declared open by 10AM, remaining open until 5PM. The entire process was peaceful. Three hours following the closure of the polls, preliminary results were out, indicating a clear advantage for Rosado. The Belize Elections and Boundaries Department has confirmed the results which can be view in their website www.gov.bz. The gap between Rosado and her other two opponents (Tracie Young and Ralph Humes) was huge as she topped the polls for chairman by capturing 499 of the 883 votes cast. Rosado had more than over 300 votes over Young, who got 175 votes, while Humes received 148. The six councillors that will form the new local government alongside Chairman Rosado are: Seleny Villanueva (450), Miguel Angel Neal (444), Hans Badillo (370), Elizabeth Usher (342), Myrna Vanina Sosa (335), and Juan Gabriel Cantun (323). Rosado was confident throughout the entire election process. Her vision for a brighter and better future for Caye Caulker led her to seek the villager’s votes. 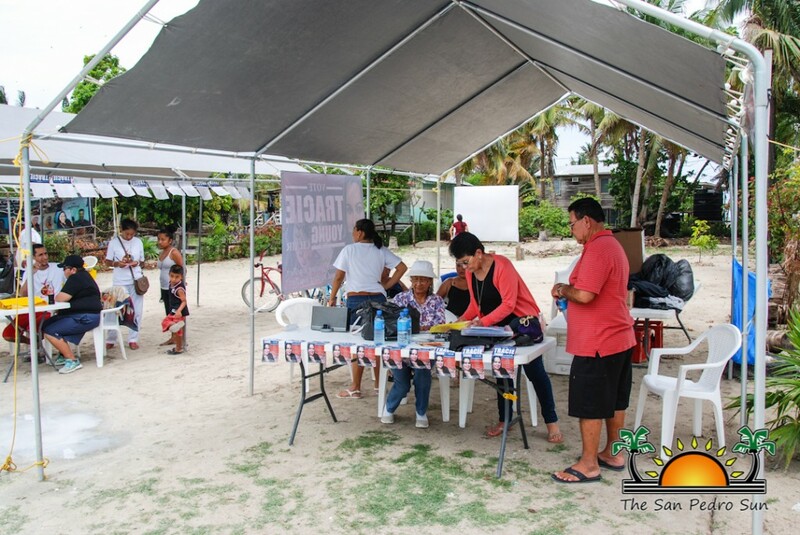 “The love I have for children has led me to plan and involve the youth in various activities, so I will work for the best interest of the island residents and provide opportunities and recreational activities for our children,” said Rosado. Previous to the elections she had indicated that she will tackle the issue of excessive garbage on the island by having regular clean-ups and making efforts to upgrade the health sector by hopefully opening a polyclinic. Rosado stated that those are some of her first priorities, and other issues that need to be dealt with on the island as soon as possible. 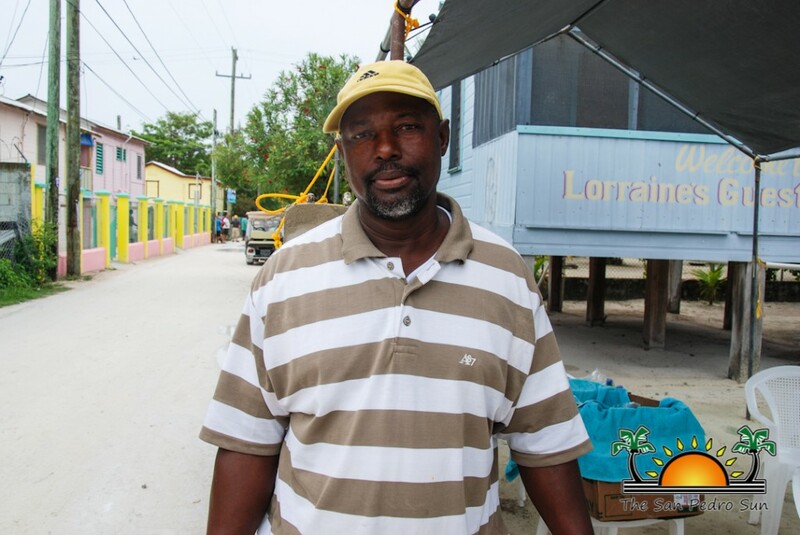 Born and raised in Caye Caulker, Rosado is a retired teacher and active member of the community. She leads a feeding program for children in Caye Caulker, is the head of the Arms of Love Cancer Group. Rosado was awarded a place in the British Empire by her Majesty the Queen for her outstanding service in the educational sector. Other candidates who contested but were unsuccessful were: Mineli Guadalupe Young (293), Celina Maritiza Novelo (292), Yesenia ‘Seni’ Smith (271), Marilyn Alarcon (254), Robert Joseph Blease (198), Harry Gilroy Young (186), Julian Rosado (171), Margarito Cu (147), Edwardo Arceo (122), Francis Staine (107, Adrian Joseph (97), Oscar Delgado (76), and Ricardo Alcala (46). A total of 61 ballots were reported spoiled at the end of the election process. 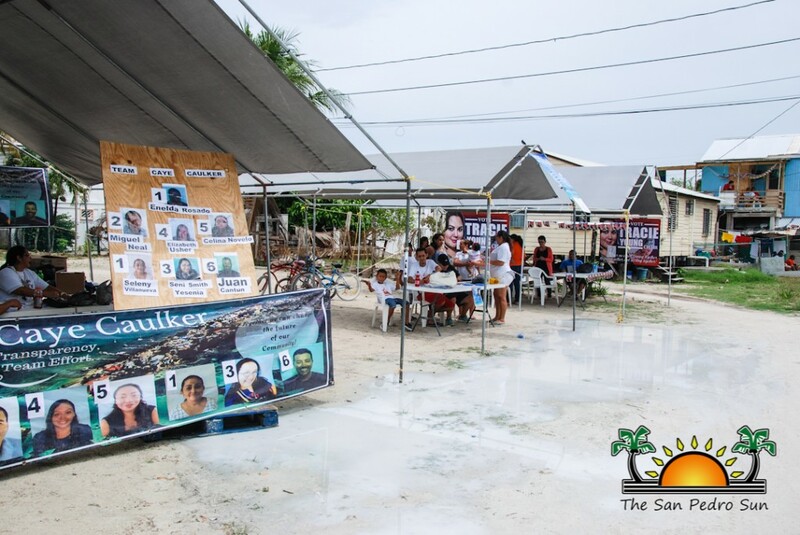 The San Pedro Sun congratulates the new Caye Caulker Village Council.